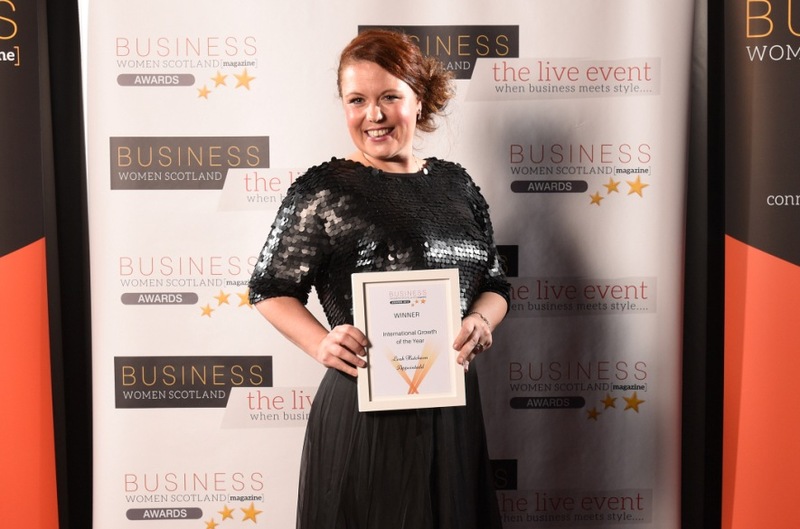 Leah Hutcheon, founder and CEO of Edinburgh-based online booking specialist, Appointedd, has won Business Women Scotland’s International Growth of the Year award. The high profile prize was presented to Leah at the awards ceremony last night (Thursday 27 October) at the Grand Central Hotel, Glasgow. The award adds to a successful year of development for Appointedd, having recently announced their largest deal to date with Alliance Business Centers Network (ABCN), the largest global network of 500,000 customers across its global portfolio of 700 serviced offices in 52 countries. The deal represents a potential US$15-20million in revenue for the companies over the next three years. Earlier in the year, Appointedd attracted investment from a wide range of investors, including Marie Macklin CBE, founder of Macklin Enterprise Partnerships, and Gareth Williams, founder of Skyscanner. The company has been growing steadily month on month since it launched in 2014, and this award recognises its continued growth outside the UK. “As a businesswoman I am delighted to be recognised by other female business leaders. Women are responsible for building some of our most successful enterprises and within our organisation there are as many women within the team as there are men. That goes for our board of directors as well. Appointedd’s disruptive software delivers a comprehensive set of features including online booking, customer relationship management and marketing automation. The software revolutionises processes for businesses in a range of sectors, from service companies to global business development agencies. Appointedd’s system stands out due to its unique multi-timezone booking functionality, an innovation they credit with establishing a global market for their technology and igniting growth. Whether it’s a large multinational organisation, or a freelancer who travels often, Appointedd’s software enables businesses to be booked 24/7.